With the dust barely settling at the OK Corral, the notorious Clanton brothers unleash their revenge. One by one, they gun down Wyatt Earp's brothers - but they won't have the last shot. 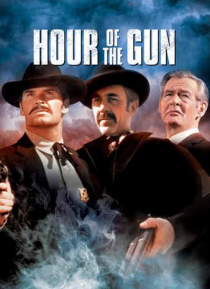 Using his US Marshal's badge as his authority, and Doc Holliday as his deputized right-hand man, Wyatt Earp begins a zealous pursuit of vengeance that the west will never forget.